More ash emissions and small to moderate explosions have occurred over the past days. 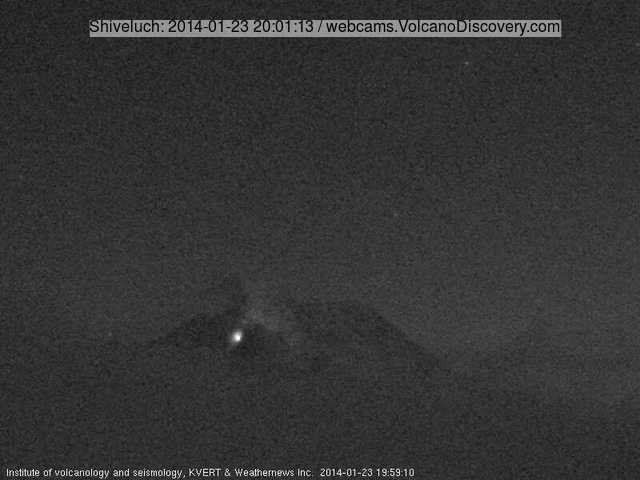 An ash plume was reported at 24,000 ft (7.2 km) altitude yesterday evening. The volcano, one of the world's most active, continues to effuse viscous lava that builds a new dome. At night, glow is visible from the vent on webcam images-.